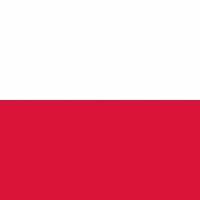 Poland, officially the Republic of Poland, is a country in Central Europe, bordered by Germany to the west; the Czech Republic and Slovakia to the south; Ukraine and Belarus to the east; and the Baltic Sea, Kaliningrad Oblast (a Russian exclave) and Lithuania to the north. With a population of approximately 38.5 million people, Poland is the sixth most populous member state of the European Union. Poland's capital and largest metropolis is Warsaw. Other major cities include Kraków, Łódź, Wrocław, Poznań, Gdańsk and Szczecin. It is currently led by President Andrzej Duda and Prime Minister Mateusz Morawiecki.